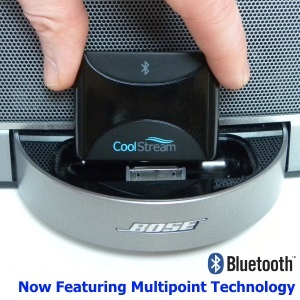 Yes, the CoolStream Duo will work with the Aux port in your car. If you have an Auxiliary port, better known as an Aux port then you can use the CoolStream Duo to stream music in your car or motorcycle. 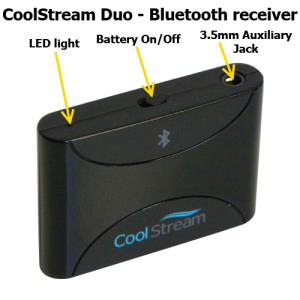 The CoolStream Duo has an internal rechargeable battery. 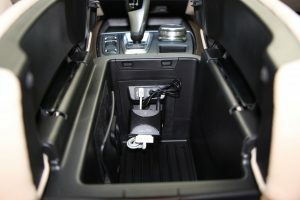 This means that once you have charged the Duo, which can be done on any traditional Apple 30-pin charger, you can use the Duo in your car or on your motorcycle. After you have charged your Duo you can then pair it to your phone. 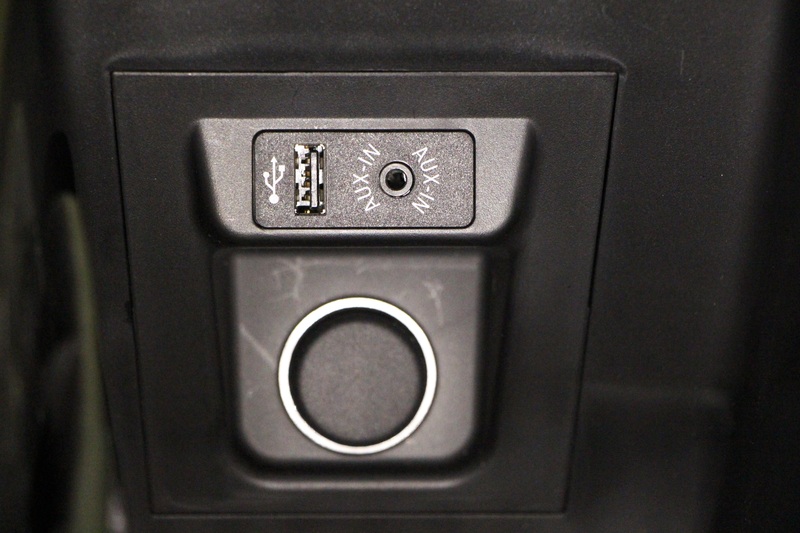 By switching the top button on the Duo to the left, you are turning the battery on. This allows you to pair your phone to the Duo. 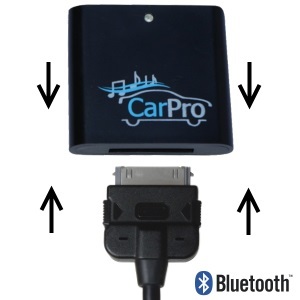 You can now stream music from your phone, through the Aux port in your car, to your car Stereo. We include a dual tipped 3.5 mm cable with every Duo so you can use the Duo with any vehicle or motorcycle that has an Aux port. As long as you can charge it, you can use it. While it is charging you will see a red light flashing. Once you no longer see the red light you are completely charged. You can then expect between 4 and 5 hours of streaming capacity. 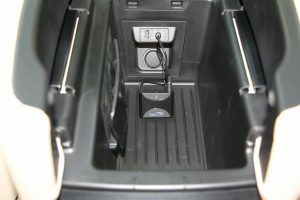 This is how the Duo will look when it is running on battery power and connected to the Aux port using the included dual tipped 3.5 mm cable. 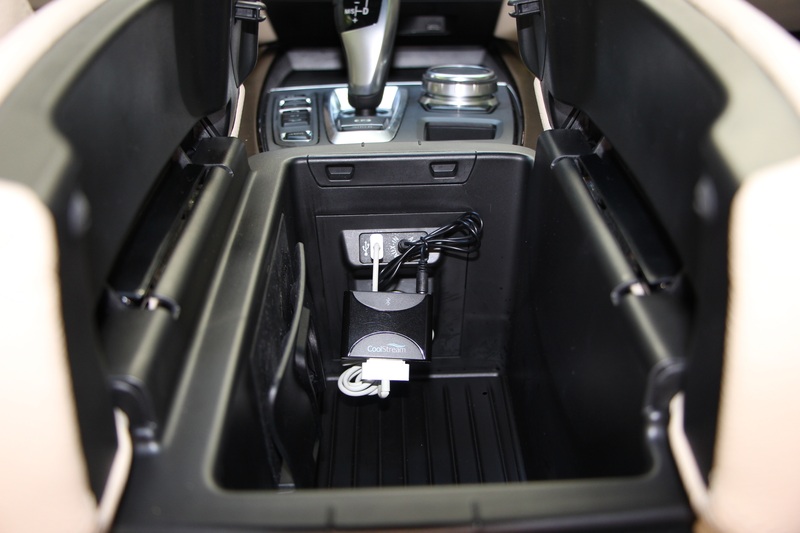 If you want to keep the Duo fully charged all the time so that it is available for streaming every time you get in your car you can always plug it into a traditional Apple 30-pin charger while it is in your vehicle. 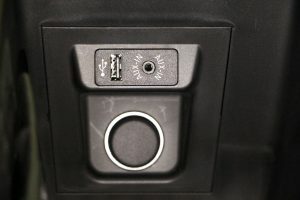 In this vehicle you could use either a cigarette lighter to 30-pin charger, or a USB to 30-pin charger to keep your Duo fully charged. 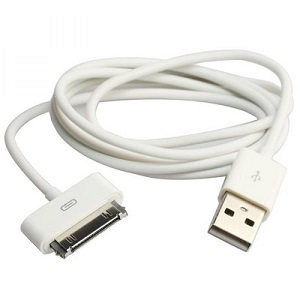 We have chosen a USB to 30-pin. The Duo will NOT work if you just connect it to the USB to 30-pin. This is for providing power to the Duo only. 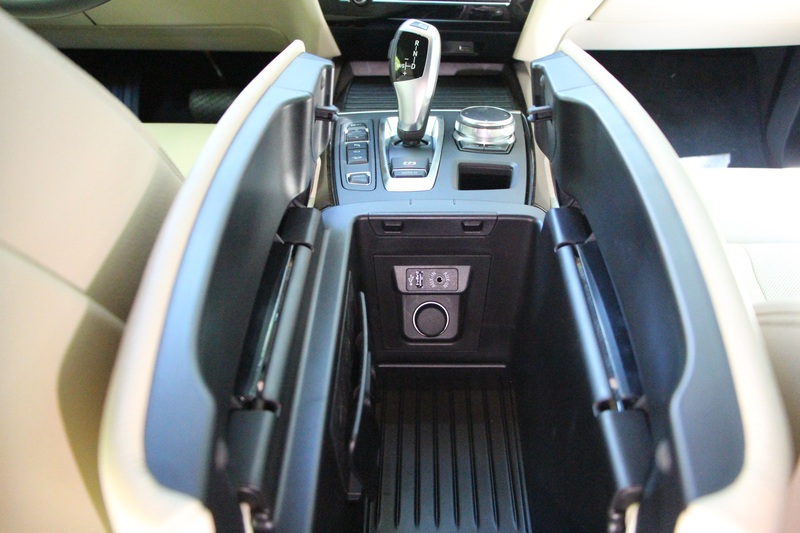 You must have the Aux port to connect to the stereo.